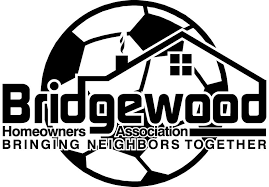 Bridgewood Youth Soccer (BYS) - Bridgewood Association, Inc.
Bridgewood Youth Soccer (BYS) is our awesome community program to get kids outside, meet new friends, and have a great time while learning how to play in a team environment. BYS is completely non-competitive and we do not keep score. BYS’ motto is “Let’s Have Fun!”. BYS is not funded by Bridgewood Association Assessments. BYS operates with it’s own fund via registration fees. BYS has it’s own Committee of five (5) volunteers who operate the League. BYS is further supported by all-volunteer Coaches and Team Parents. BYS has two (2) Seasons a year – Spring and Fall. You can always reach BYS at: soccer@mybridgewood.com.